As a UH Distance Learning student you are provided with a full range of library services, through the campus library of Kauai Community College. You are able to check out materials from the Kauai Community College Library and also borrow books and order articles from any library in the UH System. You can access UH subscription electronic databases from off-campus, with access to more than 120,00 e-books and thousands of online academic journals, using your UH Portal login and password. 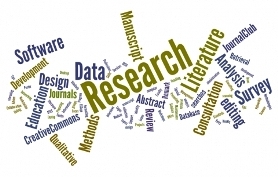 Have questions about the research process? Contact the librarians by e-mail or phone (245-8253) so we can help you find resources or recommend databases for your topic. Also, check out the Research Help page to find online research and writing guides, tips on how to critically evaluate information found on the Internet, citation guides and sites that format your bibliographies for you, and online dictionaries and encyclopedias.